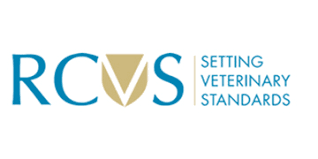 The Royal College of Veterinary Surgeons (RCVS) has issued a position statement concerning Animal and Plant Health Agency (APHA) proposals for the new role of Certification Support Officers (CSOs). These proposals have been developed in the context of an existing veterinary workforce shortage and of Brexit, which the former Chief Veterinary Officer Nigel Gibbens estimated could lead to a 325% increase in the need for veterinary certification of animal products for export. Under the proposals, these new officers would work under the direction of the Official Veterinarians responsible for signing export health certificates relating to products of animal origin (POAO); the role would not involve certification relating to live animals or germinal products. The act of certification would still be undertaken by a veterinary surgeon. The role would require a formal training and registration process, including: identity checks to ensure the candidate is a fit and proper person; six hours of accredited online distance learning with a multiple-choice test; a period of working under the supervision of a qualified colleague; and refresher training and revalidation every two years. RCVS Standards Committee considered the proposal on Wednesday 26 September at its regularly-scheduled meeting. The Committee’s fundamental focus was on retaining the value and integrity of veterinary certification. The Committee concluded that the proposals were acceptable in principle, and that further discussions should now proceed with the British Veterinary Association (BVA) before the proposal is referred to RCVS Council for ultimate decision at its meeting in November 2018.